Terror scenarios in India and Georgia and claims by Zionist regime about Iran’s role in the terrorist operations is another phase of psychological war against Tehran, Foreign Ministry spokesman Ramin Mehmanparast said here Monday. He added that the Zionist regime has bombed its embassies in New Delhi and Tbilisi to tarnish Iran's friendly ties with the host countries. Mehmanparast brushed aside Zionist regime's accusation on Iranian involvement in the bombing and said that Israel perpetrated the terrorist actions to launch a new psychological war against Iran. He said that such terrorist actions reflected the innate nature of Tel Aviv regime. The Iranian foreign ministry spokesperson said 'The Zionist regime itself is based on state terrorism and occupation' in reference to Israeli occupation of the Palestinians' lands. 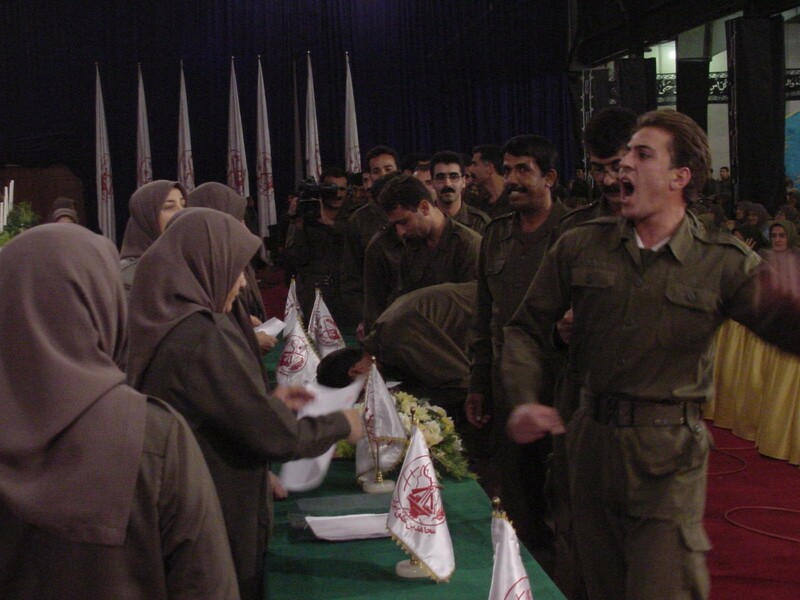 Referring to the removal of some well-known terrorist groups including the armed terrorist group of MKO from the blacklists of some western countries, Mehmanparast added that those countries which support the Zionist regime state's terrorism as well as terrorist groups in Iran and the region should be held responsible for their advocacy on behalf of the terrorist groups. “The Zionist regime has a high record of criminal actions against humanity and it is the first suspect of any terrorist operation in the world,” he continued. The foreign ministry spokesperson underlined that eliminating the roots of terrorism in the world needs an international commitment. Iran's ambassador to India has categorically denied Iran's any type of involvement in the attack on the New Delhi embassy, whatsoever. Speaking to some members of his rightwing Likud party, Zionist regime Prime Minister Benjamin Netanyahu allegedly blamed Iran for the attacks that wounded at least two people, one of them an Israeli woman. A hitman on a motorbike fixed a suspected magnetic bomb on an Israeli embassy car in the Indian capital on Monday, police said. Separately, the Georgian interior ministry confirmed that police in the capital Tbilisi had defused an explosive device found in the car of an Israeli embassy employee. In the Georgian capital Tbilisi, 2,300 miles (3,700 kilometers) to the west, an embassy employee found a suspicious device in his car and contacted police who were able to defuse the bomb before it went off. The embassy car exploded in a ball of flames in central New Delhi, injuring a 42-year-old female embassy employee and her Indian driver who was pulled from the wreckage by bystanders, police and witnesses said. Witnesses described hearing an explosion in the middle of the afternoon around 3:30 pm (01:00 GMT) and then seeing the car on fire. The blast was of relatively low intensity. The charred remains of the car surrounded by debris stood in the street until the early evening, with the roof still intact but the back door missing. 'We heard a huge explosion and then me and my workers ran to the site where we found the car on fire,' petrol pump supervisor Ravi Singh told reporters. 'I think there was a woman and a driver in the car and I think (other) people pulled her out. And then the fire tenders (trucks) arrived at the site,' he said. A Jewish center run by the the ultra-Orthodox Lubavitch movement was among the targets in the November 2008 terror attacks in Mumbai blamed on the Pakistani-based Lashkar-e-Taiba in which 10 gunmen killed at least 166 people. The last militant strike in New Delhi was last September when a bomb outside the High Court killed 14 people -- the latest in a series of blasts that has shaken public confidence in the Indian government's counter-terror capabilities. This new round of anti-Iranian scenarios follows another scenario in which US officials claimed that Iran has tried a plot including an assassination attempt against the Saudi Ambassador to the United States Adel Al-Jubeir, with a bomb and subsequent bomb attacks on Saudi and Israeli embassies in Washington. Bombings of the Saudi and Israeli embassies in Buenos Aires, Argentina, were also discussed, according to US officials. Iranian officials had strongly dismissed the US allegations as a fabricated scenario which is totally unfounded and described it as worn-out approaches which are based on the old hostile American-Zionist attempt to sow discord among Muslims. While Iran is allegedly accused of terrorism, western states are real supporters of world terrorism. The EU removed the MKO terrorist group from its terrorism list in 2009, but it is still considered a terrorist organization by some countries, including the United States and Iran. The MKO is designated as a terrorist organization under the United States law, and has been described by State Department officials as a repressive cult. 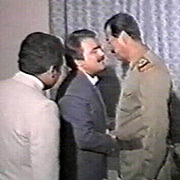 The group fled to Iraq in 1986, where it enjoyed the support of Iraq's executed dictator, Saddam Hussein. The MKO is also known to have cooperated with Saddam in suppressing the 1991 uprisings in southern Iraq and the massacre of Iraqi Kurds. The group has carried out numerous acts of violence against Iranian civilians and government officials. Yet here we have numerous American political figures receiving substantial fees from a group which is legally designated under American law as a Terrorist organization. 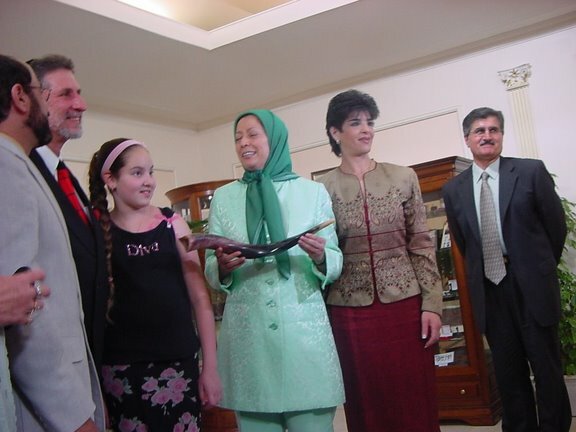 Beyond that, they are meeting with the Terrorist leaders of that group repeatedly (Howard Dean told NPR last year about the group’s leader, Maryam Rajavi: “I have actually had dinner with Mrs. Rajavi on numerous occasions. 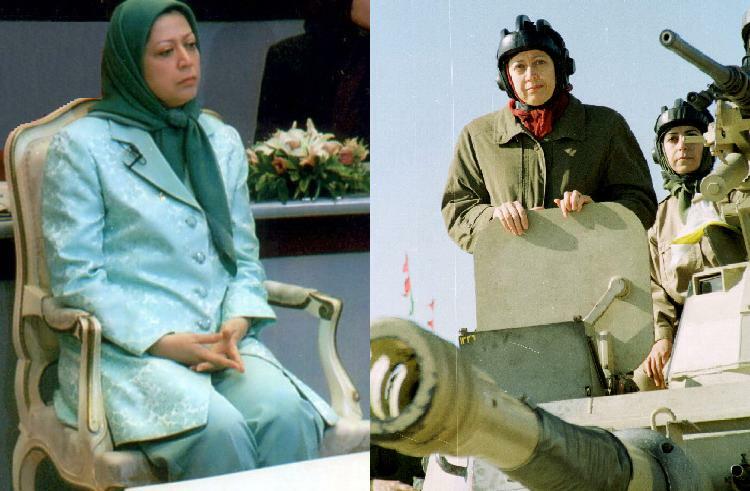 I do not find her very terrorist-like” and has even insisted that she should be recognized as Iran’s President, while Rudy Giuliani publicly told her at a Paris conference in December: “These are the most important yearnings of the human soul that you support, and for your organization to be described as a terrorist organization is just simply a disgrace”). And, after receiving fees from the Terrorist group and meeting with its Terror leaders, these American political figures are going forth and disseminating pro-MEK messages on its behalf and working to have it removed from the Terrorist list. Given all the prosecutions of politically powerless Muslims for far fewer connections to Terrorist groups than the actions of these powerful (paid) political figures, what conceivable argument is there for not prosecuting Dean, Giuliani, and the rest of them for providing “material support for Terrorism”? What they are providing to MEK is the definitive “material support.” Although these activities (along with those of the above-listed prosecuted Muslims) should be protected free speech, the U.S. Government has repeatedly imprisoned people for it. Indeed, as Georgetown Law Professor David Cole noted, these activities on behalf of MEK are clearly prosecutable as “material support for Terrorism” under the standard advocated by the Bush and Obama DOJs and accepted by the Supreme Court in the Holder v. Humanitarian Law case of 2009, which held that even peaceful advocacy on behalf of a Terrorist group can be prosecuted if done in coordination with the group (ironically, many of these paid MEK supporters have long been advocates of broad application of “material support” statutes (when applied to Muslims, that is) and have even praised the Humanitarian Law case). If we had anything even remotely approaching equal application of the law, Dean, Giuliani, Townsend and the others would be facing prosecution as Terrorist-helpers. All of these mysteries received substantial clarity from an NBC News report by Richard Engel and Robert Windrem yesterday. Citing two anonymous “senior U.S. officials,” that report makes two amazing claims: (1) that it was MEK which perpetrated the string of assassinations of Iranian nuclear scientists and (2) the Terrorist group “is financed, trained and armed by Israel’s secret service.” These senior officials also admitted that “the Obama administration is aware of the assassination campaign” but claims it “has no direct involvement.” Iran has long insisted the Israel and the U.S. are using MEK to carry out Terrorist attacks on its soil, including the murder of its scientists, and NBC notes that these acknowledgments “confirm charges leveled by Iran’s leaders” (MEK issued a statement denying the report). In other words, Israeli state sponsorship of a terrorist group is acceptable because it’s in a good cause. . . . Because Israel is overreacting to a perceived threat from Iran, Tobin believes it is entirely defensible for Israel to partner with a recognized terrorist group. In other words, Tobin believes that terrorism is “entirely defensible” so long as it is committed by the right people and directed at the right targets. It’s as if he is going out of his way to vindicate Glenn Greenwald. Of course, as I documented in my last book, those who are politically and financially well-connected are free to commit even the most egregious crimes; for that reason, the very idea of prosecuting Giuliani, Rendell, Ridge, Townsend, Dean and friends for their paid labor on behalf of a Terrorist group is unthinkable, a suggestion not fit for decent company, even though powerless Muslims have been viciously prosecuted for far less egregious connections to such groups. But this incident also underscores the specific point that the term Terrorism is so completely meaningless, manipulated and mischievous: it’s just a cynical term designed to delegitimize violence and even political acts undertaken by America’s enemies while shielding from criticism the actual Terrorism undertaken by itself and its allies. The spectacle whereby a designated Terrorist group can pay top American politicians to advocate for them even as they engage in violent Terrorist acts, all while being trained, funded and aided by America’s top client state, should forever end the controversy over that glaringly obvious proposition. Four notes: (1) The book event I did with Noam Chomsky last November in Boston will be broadcast several times this weekend on C-SPAN; the schedule is here; (2) The New Zealand political journal Listener has an interview and profile of me and With Liberty and Justice for Some; (3) the video for two of the civil liberties events I did this week are now online: this one at Indiana University/Purdue and this one from Columbia University; and (4) I’ll be the keynote speaker at the annual dinner of the ACLU in Idaho tomorrow night; ticket information is here. Terrorist groups exist because someone wants them to. The US, England, France, Israel and Saudi Arabia finance, train, house and protect them. Press TV talks with Paul Sheldon Foote, Professor of California State University from Irvine who provides an outline of the extent of involvement both the US, Israeli and Saudi Arabian governments and intelligence services have with terrorist group PJAK that targets Iran, Turkey and Syria. Following is a transcript of the interview. Press TV: Would you please explain who PJAK is and what their goals are? Paul Sheldon Foote: PJAK as was mentioned in your report is a branch of communist terrorists that includes the PKK -- same leadership; the only difference is one attacks Iran, one attacks Turkey and one attacks Syria. They have existed throughout those regions for a number of reasons: one is strong American support. Even though the American government denies it, it's been reported by Seymour Hirsch in The New Yorker; it's been reported by Laura Rosen in the War and Peace Blog. They can deny it all they want, but we do strongly support it -- independent journalists have gone through the region and videotaped all these communist terrorist groups and they all admit they are working with the American government. They also of course have strong support from Israel. What the American media doesn't bother to report is that one of the two branches of the Kurdish groups is a Jewish branch. There is a large Jewish population of Kurds both in Iraq and in Israel. There used to be a pipeline that went from Iraq to Israel. And so the Israelis have had Mossad members on the ground in Kurdistan. 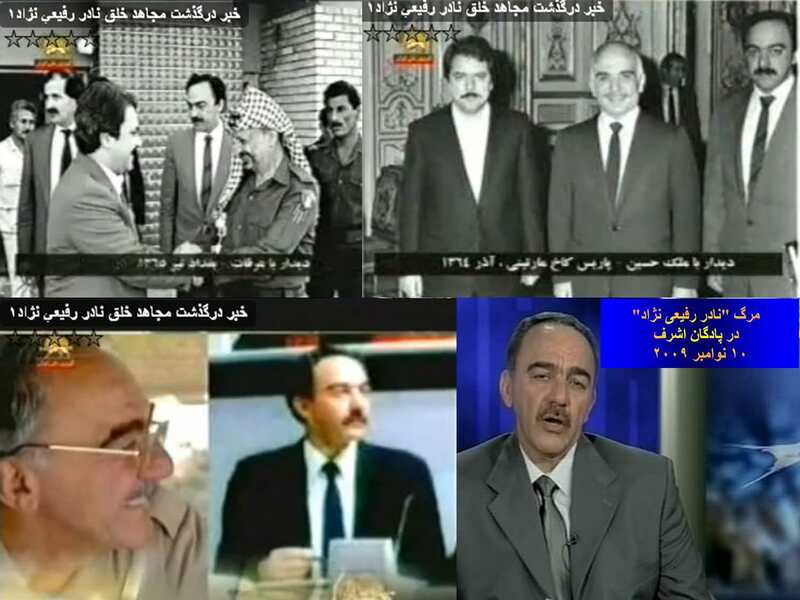 They have even tried to create a central bank in Kurdistan and they have been manning the terrorist attacks and directing the terrorist workers and providing weapons. And so there's a very strong Israeli element in all of this. Press TV: Can you describe the strength of the MKO inside Iraq? The Iraqi government doesn't appear to be doing what should be done to counter the MKO in many respects. And how does PJAK have complete control of the Kurdistan region of Iraq, which is almost autonomous? Paul Sheldon Foote: This goes back to December of 2002 when former US President Bush spoke at the UN and they issued a background paper specifically mentioning the Mujahidin-e Khalq (MKO) as a pretext for whenever we needed to go to war with Iraq. In 2003 American coalition forces attacked Camp Ashraf Iraq and killed some of the terrorists there. They quickly settled and they turned around and started using them to go inside Iran to kill Iranians. We have been using them as terrorist tools -- the only question is who they work for. Terrorists exist because someone wants them to exist. Their headquarters is in Paris, France because the French government wants them to exist. They have broadcasting facilities in England because England wants them to exist. Terrorism only exists because someone's paying the bills and that includes America, France and England. Press TV: We have the US, Israel and Saudi Arabia -- all are trying to push, through financing and training, this group to militarily get engaged and cause instability inside Iran. Does not Iran therefore have the right to defend itself? Paul Sheldon Foote: Yes of course. I can give you an example of this Saudi financing. 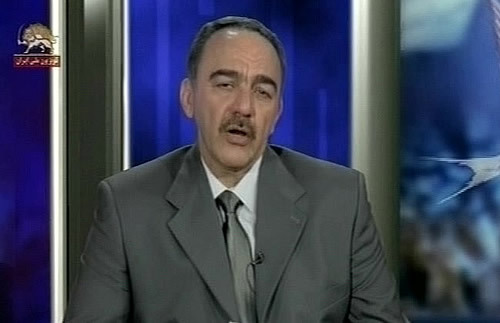 You could get Massoud Khodabandeh on a future show -- he owns a website called www.iran-interlink.org. Last time I was in London he told me that when he was at Camp Ashraf, Iraq in a very high position in the Mujahidin-e Khalq he personally supervised the receipt of a large shipment of gold bars from Saudi Arabia to the MKO. The agreement they made with the Saudis is that they had to shave off the insignia and markings on the gold bars so no one could know where the gold came from. You can verify he was there at their head quarters at Camp Ashraf Iraq and a large shipment of gold came in. The Saudis fund every terrorist organization they can imagine in the region. Press TV: Do you think if there wasn't this interference by the US, Israel and Saudi Arabia that this problem would perhaps have been resolved regionally along with the neighbors of Iran, let's say Turkey and Syria along with the local governments there in Baghdad? Paul Sheldon Foote: Absolutely. There is no reason for these problems. A large percentage of Iraqis are actually Iranians who have been living in Iraq for more than 100 years. The borders of the Middle East were imposed on the Middle East after WWI by France, England and the rest of the world. These are artificial lines. My wife has relatives buried in Iraq and she is from Iran. Who's to say that anyone outside the region should be defining the lines and imposing these kinds of conflicts on the region? The only objection to Iran is that Iran finally has a government independent; that stands up and will not tolerate having its oil stolen as it was under the Shah. An Iranian news agency reports that a fourth Iranian nuclear scientist has been assassinated. Mostafa Ahmadi Roshan was a professor specializing in petroleum engineering at a technical university and director of Natanz’s uranium enrichment facility. Mehr news agency said he was “deputy director of the commercial department of the Natanz nuclear enrichment facility.” He was killed by a bomb attached to the side of his car by two men on a motorcycle. My own confidential Israeli source confirms today’s murder was the work of the Mossad and MEK, as have been a number of previous operations I’ve reported here. The killing took place at or near a Teheran university. The method recalls another series of assassinations that occurred of Fereidoun Abbassi Davani (who was seriously wounded) and his colleague Majid Shahriari (who was killed). Today’s killing occurred two years to the day after the assassination of another scientist, Masoud Ali Mohammadi. 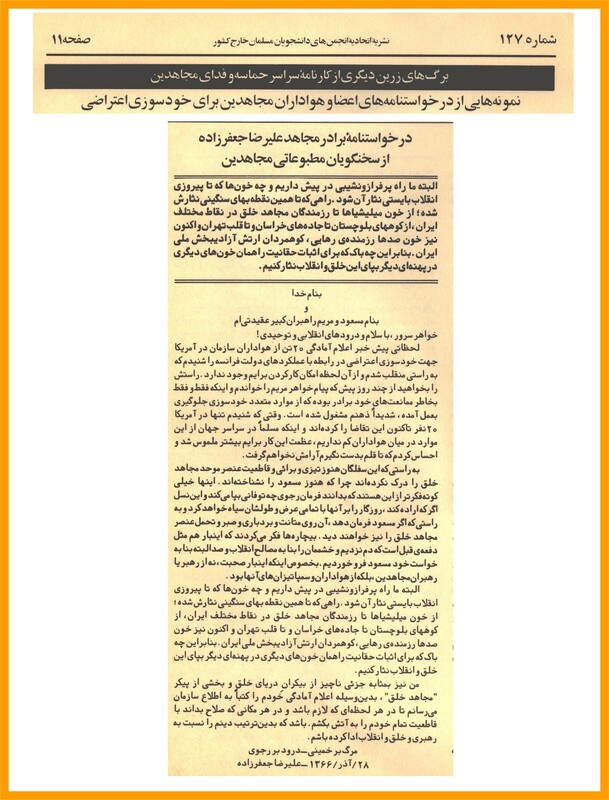 An [Iranian ] official [said]…”The bomb was a magnetic one and the same as the ones previously used for the assassination of the scientists, and is the work of the Zionists (Israelis)” Fars quoted Deputy Governor Safarali Baratloo as saying. Witnesses told Reuters they saw two people on the motorbike stick the bomb to the car. Time also offers a comprehensive report. …The Iranian assets are being prepared for conducting operations inside [Iran] as part of Israel’s undercover intelligence war against Iran’s nuclear energy program. The Baghdad source told the French daily that part of Israel’s sabotage program against sensitive Iranian nuclear facilities, which includes targeted assassinations of Iranian nuclear experts, is directed out of the autonomous region of Iraqi Kurdistan, “where [Mossad] agents have stepped up their penetration.” For this, “the Israelis are using Kurdish oppositionists to the regime in Iran, who are living as refugees in the Kurdish regions of Iraq”, the source told Le Figaro. Although the article makes no mention of official or unofficial sanction of the Israeli operations by the Iraqi Kurdish authorities, it implies that the alleged Mossad activities are an open secret in Iraqi Kurdistan. This is not the first time that allegations have surfaced in the international press about Israeli intelligence activities in Kurdistan. 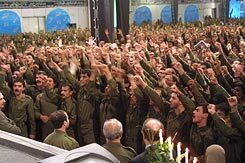 In 2006, the BBC flagship investigative television program Newsnight obtained strong evidence of Israeli operatives providing military training to Kurdish militia members. The program aired video footage showing Israeli expects drilling members of Kurdish armed groups in shooting techniques and guerrilla tactics. Iraqi Kurdistan may be one of the few places in the Arab world in which an Israeli is welcome, even Israeli spies. There also can be little doubt that the U.S. comes into this mix, as the Iraqi Kurdish authorities maintain extremely good relations with U.S. officials in that country. And it’s hard to believe that we aren’t playing a role in expediting this mischief in any way we can. I’ve said it before and I’ll say it every time something like this happens: assassinations like the one today accomplish nothing. It doesn’t fundamentally harm Iran’s nuclear program. It doesn’t deter Iran or its scientists from pursuing the research and whatever scientific goals they may have. These are shameful acts by a shameful Israeli government exploiting Iranian terrorists for their own ends. I find it disgusting that Israel can get away with such acts with impunity. I am not a supporter of Iran’s nuclear program. But I am even less a supporter of assassination as state policy, and that includes my own nation, whose president seems especially enamored of targeted killings, even of U.S. citizens.